Board Certified Plastic Surgeon in Albany, NY. 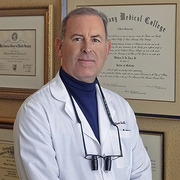 William F. DeLuca Jr, MD FACS, began his career as a plastic surgeon in Albany, New York over 26 years ago and specializes in cosmetic surgery of the face, breast and body. Dr. DeLuca is certified by both the American Board of Surgery (1983) and The American Board of Plastic Surgery (1987). Dr. DeLuca's philosophy towards plastic surgery is simple: success requires meticulous attention to detail, technical expertise and most importantly, a true and trusted eye for beauty. The benefits to Dr. DeLuca's focus on consistent quality and comprehensive care are made clear in both his before and after surgery photos and reviews from former patients. Dr. DeLuca specializes in cosmetic surgery of the breast (breast augmentation & breast lift), body (tummy tuck & liposuction) and face (facelift, rhinoplasty & eyelid lifts). His goal for each and every patient is to achieve the most attractive and naturally beautiful result possible. Just upload three standard pictures today to see a 3D simulation during your next appointment with Dr William F. DeLuca. Before the consultation, you can visualize your current 3D body or face and, after the consultation, get access to see your new look from home so you can share with friends and make a better-informed decision. After the consultation, Dr William F. DeLuca may let you access your "new you" from home with your own Crisalix account. This will allow you to share it with your family and friends or anyone you would like to get their advice.